Most BI platforms support the creation of charts, graphs, tables, maps and other artifacts, which can usually be aggregated into a dashboard. As the BI market matures so users will want to do more than visualize data – which is a highly subjective type of data analysis. Advanced analytics is a term used by some vendors, and they generally mean different things. Some claiming advanced analytics actually offer no more than a few statistical functions (linear regression, box plots, standard deviations etc.). The suppliers listed below offer genuine advanced analytics, typically by supporting the R language, but others have some inbuilt easy-to-use advanced analytics capabilities. Spotfire stands out as the most sophisticated in this respect, with its own menu and wizard driven advanced analytics as well as supporting R and other languages. Birst also offer some easy to use advanced analytics. Microstrategy comes a close second to Spotfire with a suite of advanced analytics tools, while Sisense, Tableau and Yellowfin support R.
Sisense (R integration in Version 6) majors on ease-of-use and performance. It is capable of handling very large data volumes at speed, and provides powerful data visualization capabilities. Sisense also supports good extensibility, and version 6 improves on this and adds support for advanced analytics via R.
Birst (inbuilt easy-to-use advanced analytics based on WEKA) is a cloud based BI platform that caters for self-service and production needs. The underlying data architecture is excellent, and places Birst ahead of the pack in this respect. 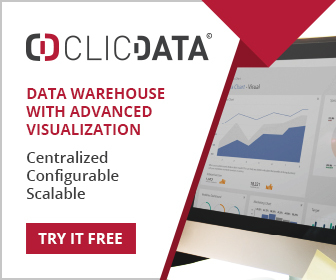 It is one of only a few true enterprise BI platforms available as a cloud deployment (public or private). Microstrategy (rich set of advanced analytics tools) is a very deep and very broad business intelligence platform. It is most suitable for large businesses with extensive production reporting needs. The data visualization capabilities are above average, but not exceptional. This is not an inexpensive solution and so users need to be able to extract high levels of value. This is dependent on skills and effort, and Microstrategy will deliver the goods provided users get under the skin of the product and extract value. Spotfire (easy-to-use advanced analytics tools and support for several languages including R) from TIBCO successfully combines advanced analytics with an easy-to-use interface. At the most basic level users can create charts and dashboards with considerable ease. As skills and experience increase so other forms of analytics are available. The implementations of additional analytic capabilities are of a very high quality, and Spotfire boasts one of the fastest R runtime engines available. Yellowfin (support for R) is an excellent all-round enterprise BI solution with with good data connectivity and management, numerous mechanisms for effective governance and support for embedding and the creation of cloud based services. 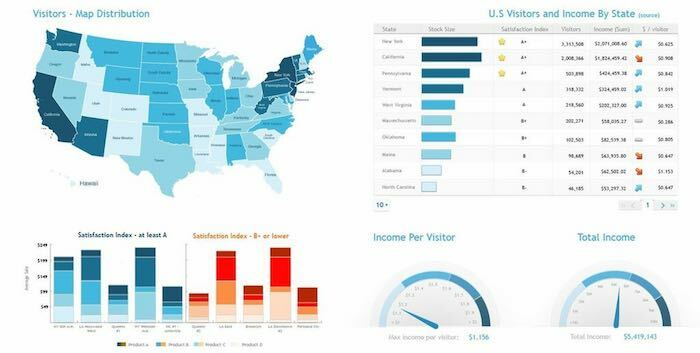 Tableau (support for R) is the benchmark for easy to use data visualization tools, and has certainly caused other suppliers to improve their act. The scalability of the product is excellent, but it lacks the sophisticated developer support of some other products. It is a very good adjunct to BI platforms which do not have particularly good visualization capabilities, but lacks features such as regular production reporting, and so is not a complete BI solution in its own right.